Your financial life should be a source of confidence and balance, not stress and anxiety. Achieving financial balance starts with gaining control over your cash flow today. The professionals at ClearVista can help if you are facing a specific financial problem or just don’t know how to get started. We provide personalized financial coaching, counseling and education to help you get on the road to financial wellness. 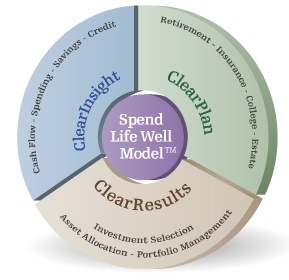 The professionals at ClearVista Financial will help you master the principals of spending management, credit management and savings so that you’ll be equipped to help maximize future wealth-building opportunities while fully living your life today. Once you have a clear idea of where and how you are spending your money today, it’s time to start the process of planning for your future needs.